Climate change: “the most important issue we face”. 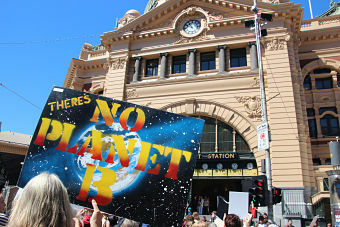 No Planet B – funeral for our future – Melbourne. Takver. flickr cc. At the UN’s COP24 climate talks currently under way in Poland, UN Secretary General Antonio Guterres described climate change as “the most important issue we face”. The address by Sir David Attenborough was unequivocal in its alarm, fearing the collapse of our civilisations, and recognising climate change as a “man-made disaster of global scale, our greatest threat in thousands of years”. In Australia, our political leaders do not seem to share the same sense of urgent pending calamity reflected by the UN speakers, but there are obvious signs that at least parts of the electorate have received the message. Recently, thousands of students marched on the nation’s capital cities, as well as in many regional centres, protesting the inaction on climate change. Peter Sainsbury, writing on the findings of the Intergovernmental Panel on Climate Change (IPCC) in October 2018, is strident in a call for action, and believes an appropriate response “will require a reorganisation of societies, economies, and industries on a scale similar to that which occurred in the UK and USA when each entered World War II”. Church voices are being raised along with those of academia. The Catholic bishops of Oceania have joined a call by six presidents of continental bishops’ conferences to take urgent action to tackle the climate change crisis. Reaffirming the insistent calls by Pope Francis to overcome global warming, the presidents made their appeal in Rome on 26 October. Cardinal Pietro Parolin, Vatican Secretary of State, addressing the COP24 conference, told participants that the COP24’s guidelines should have “a clear ethical foundation”, including “advancing the dignity of the human person, alleviating poverty, and promoting integral human development”, with “transparent, efficient, and dynamic” measures. One of SPC’s committee members, Tony French, reflects on the ppreparation in his own Catholic parish for the 2020 Plenary Council. While much of the commentary is Catholic-centric, the particular element we at SPC would like to see becoming significant in the final response of the Council is “a shift … to matters of social justice”. The call from the bishops of Oceania is most welcome. Arguably, even more powerful than this would be the commitment of parishes around Australia to act on climate change and other social justice issues. 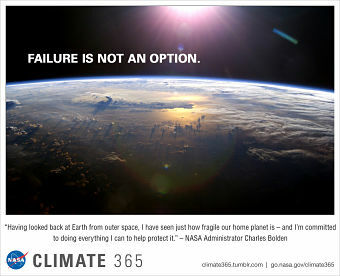 Climate 365. NASA Goddard Space Flight Center. flickr cc. A failure of action on global climate change risks seeing world powers adopt nationalistic policies to secure the wellbeing of their citizens. This is just another of many reasons action is needed now. We should not be blasé about possible actions by future Australian governments in such a scenario. Allan Patience, in a thoughtful and challenging paper delivered at a conference Social Policy Connections was involved in organising, asks “What can Australia do to help build a world at peace with itself?” His response will require massive change in Australian attitudes and approach if we are to play a positive role in bringing about a peaceful world. In an equally challenging article on Australia’s involvement in the Iraq war, James O’Neill reports on revelations indicating that the decision to go to war was taken much earlier than publicly disclosed, and on grounds today proven largely false. The threat of adverse outcomes from global warming is very much apparent in Pacific countries. Aid agencies have long lamented that much of Australian aid to these countries is misdirected, especially in neglecting the impact of climate change. A former Australian High Commissioner to Samoa, and now CEO of Caritas Australia, Paul O’Callaghan lamented in November that Australian plans for a $2 billion infrastructure bank risk creating new debt traps for Pacific Island countries, while doing little to help them prepare for climate change. At the recent APEC meeting, Pacific countries were courted by the major powers seeking to exert or extend their reach in the Pacific area. Mark Moran reflects on the type of aid which would really benefit PNG, and concludes that it is not the type of infrastructure spending on offer from the major powers. In this last of our Newsletters for 2018, it’s worth taking a moment to reflect again on what we at SPC are about. One of our aims as an ecumenical organisation is to help bring the social involvements of the churches into contemporary policy debates to shape a just society. We hope our readers share this aim, and welcome your feedback on how we might advance it. At SPC, we wish you a peace-filled Christmas season.